I’m on a roll with my Antipolo Food Trip Blog Series wherein I write about Restaurants, Cafes, and Food Places in Antipolo City (Rizal Province) that piqued my interest. 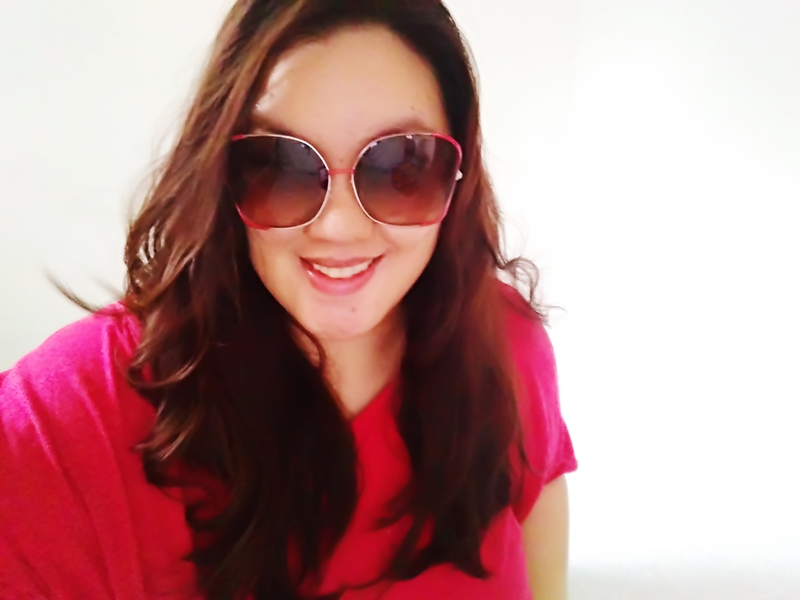 This time it’s all about Khayil Bakeshop and Café. Located along Circumferential Road, Khayil started as a specialty bakeshop that offers gourmet cupcakes, cinnabons, and customized cakes until they expanded into a restaurant café. Their original shop was located along M.L. 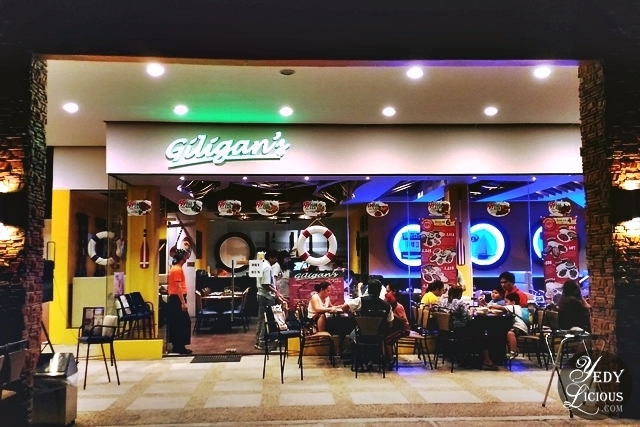 Quezon Extension in front of the now defunct Puregold JR at Mille Luce Village Town Center, (replaced by the newly opened Rustan’s Supermarket Antipolo.) From their small shop, Khayil Bakeshop and Café garnered several patrons who love their products. While it is safe to say that continuous patronage of people prompted Khayil for an expansion, the reason, I learned, was way beyond their will to prosper. That’s what makes Khayil dear to me. 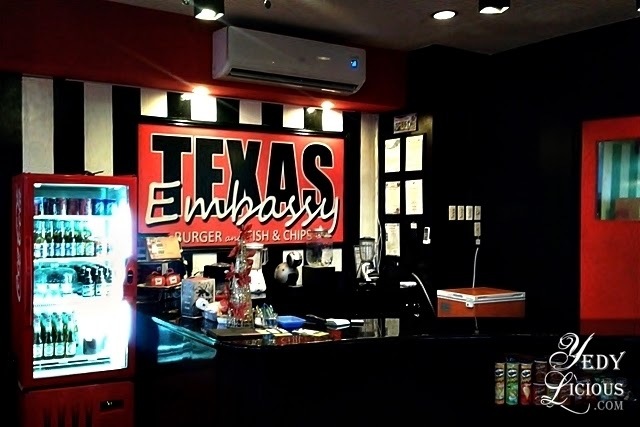 I just came from glorious days of food tripping in Palawan and already I am talking about this restaurant in Antipolo City named Texas Embassy Burger and Fish & Chips I have come across with last night. Pardon the excitement, ever since I moved back in this town, one of my personal dilemmas is that there are not a lot of restaurants around I could write about save for the usual fast food chains we also have in Manila. I bumped into some, yes. Yet, only few have given me the driving force to face my laptop and write about the experience. 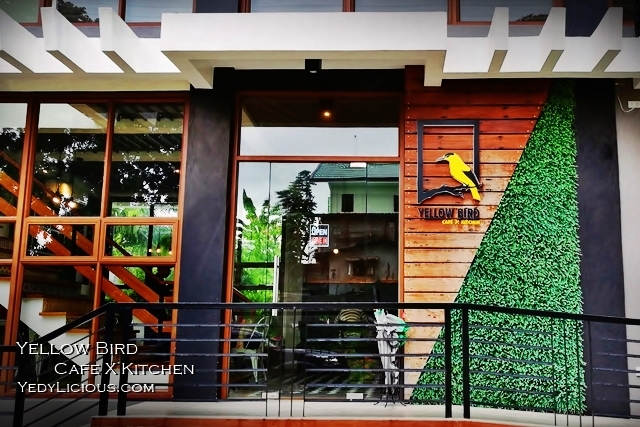 But I guess it is too early to tell, I am still in the process of reacquainting myself with Antipolo City and its restaurant scene, hence the Antipolo Food Trip series you will be seeing here at YedyLicious from time to time. We will just see how will this pan out. 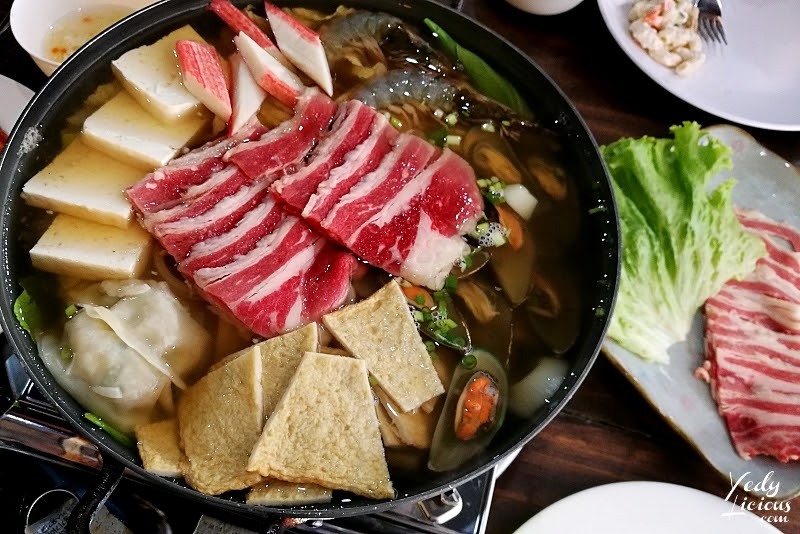 My goal is to look for restaurants, locally owned if possible, which would give me the reason to just stay within the town and ditch the idea of braving the traffic along Ortigas Ext. and Libis-Santolan area (via Sumulong Highway) whenever I am craving for a full restaurant experience. 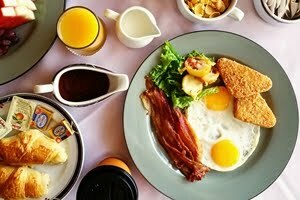 Just like Tipulo Restaurant which I have written before. 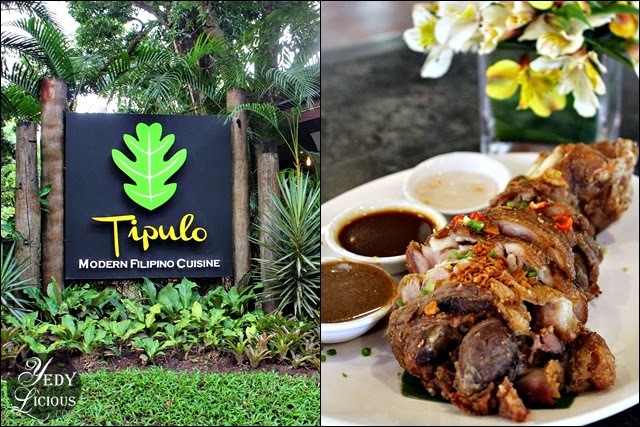 Just in time when I was acquainting myself to the restaurants in Antipolo City after a decade of my absence, I was introduced to Tipulo Restaurant inside First Pacific Leadership Academy (FPLA). 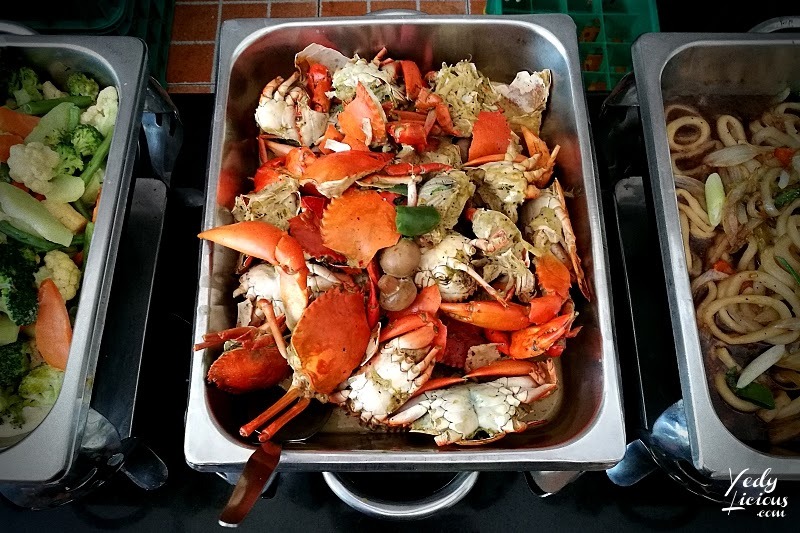 Serving modern Filipino cuisine, Tipulo is considered a dining destination for those coming from different places to experience the beauty of what is tagged as the Pilgrimage Capital of the Philippines. Tipulo Restaurant is both new and familiar to me. Now that statement calls for a trip down memory lane. Allow me to do a little rewind up to the summer that I ditched medical school to pursue Arts. We used to call the place The Pavillion, an eating place exclusive for Meralco employees and its guests inside Manolo M. Lopez Development Center, (MMLDC) now rebranded as FPLA. During that time, Meralco employees are encouraged to recommend their children for a summer job within the company or its subsidiaries for career exposure. My father got me a spot at MMLDC's Educational Technology Team, a department that handles events and programs in the company.